I came across this brilliant personal DIY organizing hack today – and thought it was pure genius for anyone who has a small bathroom and needs more space to put their stuff. 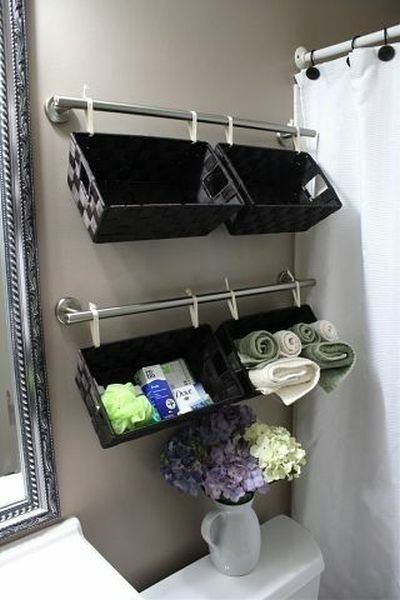 All you need are 2 towel bars, 4 baskets, and either some zip ties or strong ribbon. Isn’t this CLEVER? And sure makes good use of the space over the toilet instead of using shelves. Hot Toys for Christmas 2017? We Found the HOTTEST Toys This Year!